Office 365 deserves kudos this Thanksgiving. Since its release back in 2011, it has been streamlining just about every daily office task for businesses large and small. From effortless collaboration, to instant file sharing, to workflow organization, it optimizes productivity and expands possibilities. All your go-to programs are here. No new word processing or spreadsheet formulating applications to figure out. Word, Excel, PowerPoint, Access, OneNote, Outlook, Publisher, and Skype for Business are all included. Yes, the same PowerPoint you made your biology presentation on in high school. The same Word that you wrote your first cover letter. Access these applications locally or via the cloud at your convenience. No big upfront software or hardware costs soaring into the stratosphere. No long-term contracts binding you. Just a stress-free, predictable monthly payment that fits the scope of your business. Users can be added and removed, or you can switch to another package with just 30 days’ notice. The subscription ensures that the entire office is always working on the latest version of the programs, with the latest updates. The monthly cost also comes with a 99.9 percent financially-backed uptime guarantee. No more being chained to one desktop. Since Office 365 is cloud-based, you can virtually access all of your files and applications on the web–from anywhere, at any time. 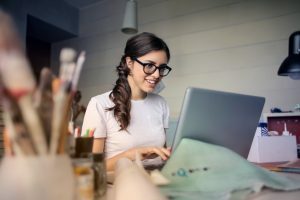 Whether your laptop, mobile device, or home desktop, you can login to your account and continue working on or sharing files, chatting with employees, attending video conferences, and more. This provides flexibility for you and your employees, while encouraging productivity. Have you ever been working on a word document or spreadsheet, only to have the program crash and lose 30+ minutes of progress? That will never happen again. Office 365 saves your documents to the cloud as you are working on them. Even if your computer turns off and never comes back on, that file can still be accessed when you login to your account via another device. Office 365 also protects sensitive content with default information protection technologies; and meets HIPAA and GDPR-related compliance standards for data breach protection. Leave the IT work to Office 365. Built-in to the subscription is a 99.9 percent uptime guarantee plus automatic updates for your business. They will keep you up and running without hiccups, while you focus on your tasks. They also provide clear, simple step-by-step guidance for adding new users and accessing services. The user-friendly admin center can be easily accessed from anywhere at any time. Nothing says good business like teamwork. Office 365 unifies your team like never before. Since files are stored online, not only can they be shared instantly, they can be edited simultaneously with comments and chat within the document itself–talk about collaboration! Team chat, shared calendars, and multi-party HD video deepens connectivity further while keeping everyone organized and in sync. Also, there is plenty of file space as each user receives 1TB of storage. Microsoft’s Office 365 keeps up with your business in this fast-paced world, bringing along with it all the tools you and your business need for sustainable growth. Want to learn more about switching your business to Office 365? Contact us here at Frontier by calling 719-888-HELP.